Zach Murphy from The Katz shoots a free throw in the Boulder City Parks and Recreation Department's men's league game against B.C. Kids on Feb. 15. The Boulder City Park and Recreation Department’s men’s recreational basketball league will begin its double-elimination tournament tonight, Feb. 22, with Slow and Steady as the top seed, earning a bye in the first round. Devonte White from Slow and Steady earned 35 and 31 points last week to help his team to that spot. Flight S2S is beginning the tournament in second place thanks to big scoring efforts from Dave Murtha (29 points) and Rob Sandoval (30 points), according to Kelly Lehr, sports coordinator for the department. The playoff games begin at 7 p.m. in the department’s new gymnasium, 900 Arizona St. The tournament continues through March 6, with the championship game scheduled for 8 p.m.
Coed recreational kickball begins Sunday, Feb. 25, at the ballfields at Hemenway Valley Park. Games begin at 6 p.m. and will be played Sundays through March. The women’s recreational volleyball league begins spring play in March. There is a manager meeting at 7 p.m. Monday, Feb. 26, at the recreation center, 900 Arizona St. Games will be played on Mondays beginning at 6:30 p.m. and will continue through May. If you have any questions or are interested in registering a team, call the recreation center at 702-293-9256. The coed youth floor hockey league for kindergartners through second-graders is in midseason. The children play starting at 11 a.m. Saturdays through March 17. The league for third- through six-graders will begin March 14. 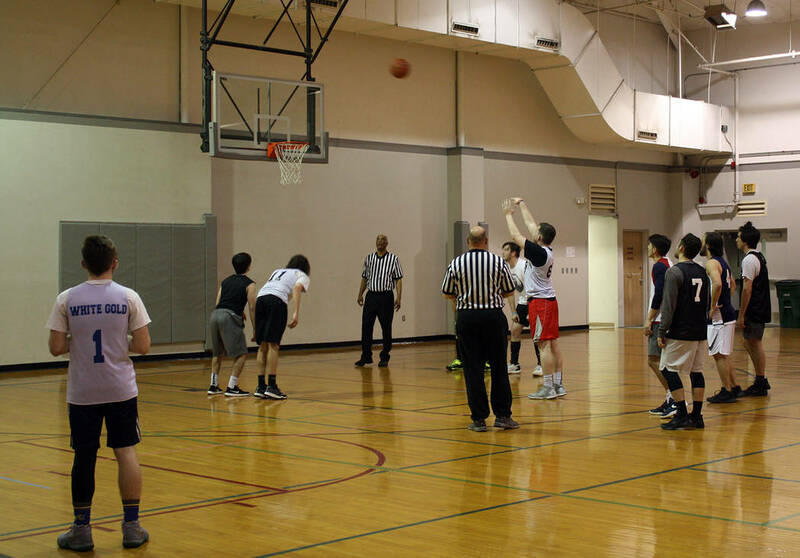 Games will be played Mondays and Wednesday evenings through April in the old gymnasium, 900 Arizona St. Registration ends at 6 p.m. today, Feb. 22. Those interested can register by phone at 702-293-9256.